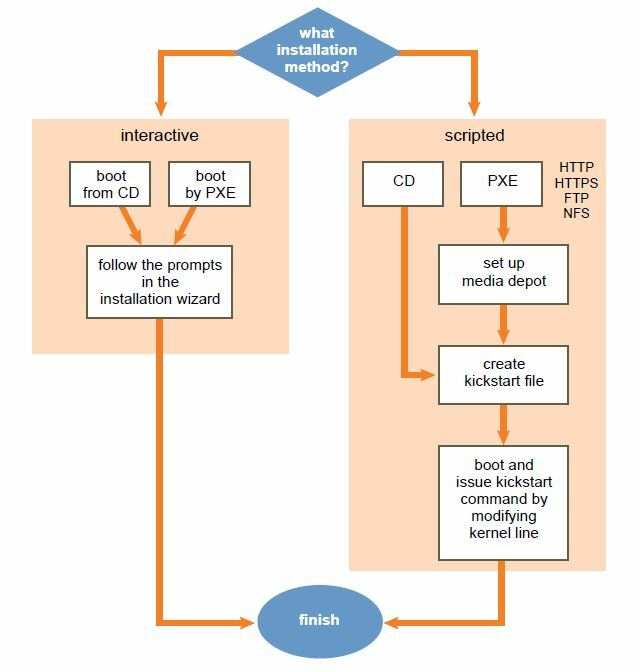 xCAT is another open source toolkit that supports PXE boot for ESXi. In addition, it has a cool feature that allows to PXE boot a diskless ESXi image. I’ve tested it on HP, Cisco, Dell, IBM, and other whiteboxes and works really well. Nice post. I was wondering how I could use this to deploy a number of hosts. The script “Configure Answer File” will set the variables like hostname and dsipaddress but what about the other variables like Management, vMotion. I’ve modified the “Configure Answer File” with the content below. As you can see I’m using more files in the Computer tabel of the database. Each field has a value which is configured in the kickstart file. For example : host ip address uses the field nw_pref _server. Are you pre-populating the information manually to your rdp database? For example, in the “computer” table in the “lic_os_user” column, are you entering in the the vmotion IP and the ks script is picking it up during the install? I am trying to figure out a way to use our RDP server to deploy many ESXi hosts and not use a separate script for each individual host. Yes you will need to populate the tables in the database _per host_! When you PXE boot your new HP server it will fire up the Altiris client. This will contact the RDP server which will record an entry (with new ID) in the eXpress database. You can then populate the variables in the Computer database which you want the “Configure Answer File” job to modify. I’ve added a couple of variables more, since my kickstart script needed to modify more variables in the default kickstart script. Each time you deploy this job to a new server it will create a new, unique kickstart for the HP server that has been added to the database. This way Altiris / HP creates a unique kickstart script for each individual host based on your default kickstart script. To conclude : default kickstart script + variables modified in “Configure Answer File” job = unique kickstart file for server. Thank you that makes it much clearer. Thanks for the script and particularly the explanation of how the elements of the HP Insight Control Deployment Server hang together. Am I right in assuming that in addition to the details you gave about the answer file that you also have to manually edit the configurekickstart.sh script to include the sed commands for the variables that you detailed? I have tried this but every time I update the configurekickstart.sh the task bombs out with ‘error 126 during script execution’ and the computerID script doesn’t get modified/created. Yes you do need to create a link between the variables that you use in the kickstart script and the tables in the database. Currently don’t have access anymore to the HP deployment server so can’t really tell. But walkthrough the scripts provided by HP. Try to understand what they do and how you can add your own custom field. Found an answer shortly after posting last night. Somebody mentioned that I needed to edit the files using a Linux-aware text editor so as not to screw up the CR/LF. Talk about a rookie mistake! Sorted this morning and I’m off and running. It’s taken me the best part of a week to decipher all that goes on under the bonnet of HPICSD, but your article was certainly the most valuable pointer. The only conundrum I’m left with now is how best to bulk update the eXpress.dbo.computer table from our spreadsheet. Out of interest did you wait for the computer objects to be created in HPICSD or did you populate the whole table beforehand?